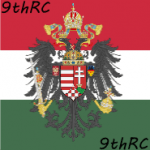 The Order of the Rose Croix Was one of the oldest clans in the mod, created in 2012 by Datura. Almost 7 Years later the clan became a Mercenary Federation with the tag and the banner remaining, but stronger than ever. One of the 2 leaders. Responsible for coordinating the Army.